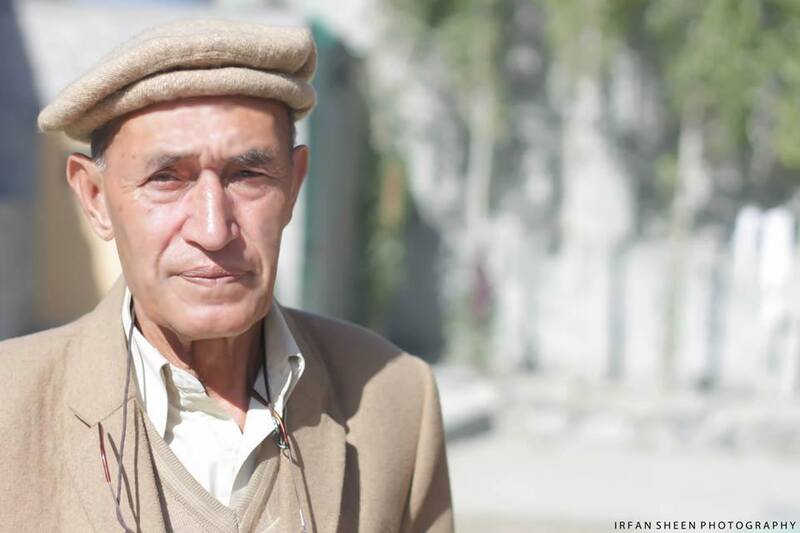 “Born in Nasirabad, a small village in the lower Hunza valley, I remember our lives being dictated not by a calendar or a clock but by the climate and seasons. I remember celebrating wheat harvest for we could regularly eat bread thenceforth. In the spring, I remember eating mulberries and dried apricots for lunch and dinner. I loved collecting mulberries: shaking the branches of a tree, picking up the fruit and gobbling down handfuls without noticing that half of what I ate was sand. Life was simple and serene, but also challenging. I was lucky to have access to the local Aga Khan Diamond Jubilee School, essentially a make-shift school with only one instructor who taught multiple classes, six days a week, from early mornings till late afternoons. Like many school-going children, I fancied skipping classes but only to be caught red-handed by my cousin and brought back to the school. I was, nevertheless, the class-monitor and would often lead lessons in the absence of the teacher. Perhaps, that was an early sign of my interest in teaching as a profession. In early sixties, I moved to Karachi where my elder brother lived. With his support, I completed secondary and higher secondary schools with good grades. I did my BA from Saint Patrick’s College, Karachi while also working part-time at a factory and leading a worker’s union. I also managed to complete professional teaching courses and a diploma in English language during those years. Regarding my life outside of work and studies, I enjoyed spending time with friends and doing social work. Karachi was a vibrant city back then. It was clean, safe and economical. Following my BA, I dedicated most of my time to teaching. I taught at two schools during the day and ran a private tuition center in the evening. I was primarily an English language teacher but I also taught social studies and history. I was known as a storyteller amongst my students due to my love of folktales. I loved my work. Being in school felt like home to me. I was beginning to realize that teaching was my passion. In 1980, following my father’s passing, I returned to Hunza. Within a few months I was offered a teaching job at Public Schools and Colleges Jutial, Gilgit, formerly known as Federal Government Public School. At that time I did not know I would end up spending the rest of my professional life working there. Some may call it settling down a bit too early, but to me, the thirty-three years I spent at the school entailed a new experience, a new challenge every day. In the initial years, being one of the few local teachers at the school, I always felt responsible to adopt a sound and context-specific teaching methodology. I tried to teach in a manner that catered to individual needs of students, and whenever possible, had meetings with parents to discuss students’ progress. On a personal level, I continued my education as a part time student and received a post-graduate degree and a professional teaching certificate from Punjab University. It was a challenging but a rewarding process. During the many years I spent at the school, I saw it grow from a primary school to an undergraduate college. I also got a first-hand experience of the rich diversity that exists in a region as small as Gilgit-Baltistan. The languages, habits, routines, perceptions, opinions, attitudes, and conscious and unconscious actions of those around me helped me reinvent and rediscover what it meant to be a teacher. One thing that did consistently remain part of my pedagogy was storytelling. Perhaps that is what most of my students remember about my teaching and keep referring back to every time I see them. The school remained an integral part of my life for thirty-three years. I was deeply attached with my profession, the students, the constructions, even the plants and trees at the school. Towards the end of my tenure, it was remarkable to see the children of my former students becoming my students again and sharing with me childhood accounts of their parents. It made me consistently question, analyze and improve my role as a senior mentor of the institution.